This entry was posted in Blog, Boat Insurance, General, jet ski insurance, Travel Insurance, Watercraft Insurance, Yacht Insurance on 06/07/2017 by Alejandra Vazquez. 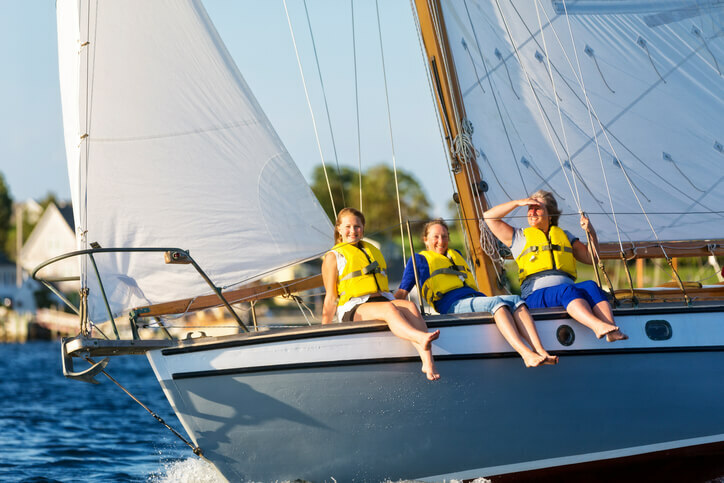 Enjoying Tampa Bay and getting out in the sun with friends and family can be a highlight of springtime and summer, but it is important to safeguard your boat and loved ones before the fun begins. Basic water safety, boating knowledge, licensing, and watercraft insurance all need to be reviewed before getting out on the bay. Securing a watercraft insurance quote that will keep your boat, other boaters, and your family safe might be your first step in the process. Here are four tips for boating families in the Tampa Bay area. Aim for a spring vacation to avoid Tampa’s late-summer hurricane season. For those nearby, reviewing weather predictions before heading out for the weekend is still an important step. The good news is, hurricane season this summer and fall shouldn’t be as rough as those in years past. Precautions still can be taken, however. Summer storms should be taken seriously. If a hurricane or storm is underway, heed the weather advisories and avoid going out on the water. This might not be the safest time for your family. If you have younger children in your family, getting them ready for a day on the water is important. Some small kids might be nervous to be on a boat or scared of the water. It might be a good idea to start small. Prep them for water sports in a pool a few weeks to a few months before hitting the bay. If they feel more confident about water in general, you can better focus on captaining the boat. Consider getting children acclimated on a short or a half-day trip for starters. Bring along water, snacks, shade, and sunscreen to keep your family safe and happy as well. Whether you are a seasoned boater or this is your first time on the water, follow all boating guidelines to keep your family safe. Model good behavior for your kids. If you are on a chartered boat, find the safety guidelines onboard and comply with all rules such as kids wearing lifejackets or towing rafts or water skis. Follow all speed guidelines and rules about coming in and out of harbors. Check that all safety gear is on board and secured for your trip. While you might be a responsible boater, Tampa is known as a spot for folks who want to let loose and have fun on the bay, especially during spring break and the summer months. Morning trips may be a better option for a family-friendly vibe, as you’re more likely to avoid the crowds and those who are more interested in the party than the natural setting of the bay. Making sure that your family is safe on the water during boating trips in Tampa Bay can be easy to do with a little planning. Start your boating plans by looking into watercraft insurance quotes online for the correct coverage. With the right watercraft insurance, your boat will be covered in case any accidents do occur, and your family will be safe today and in the future. Call Freeway Insurance today to find a great selection of watercraft insurance plans. Our team is available to answer any questions you may have about your watercraft insurance. To learn more, call us today at (888) 443-4662.